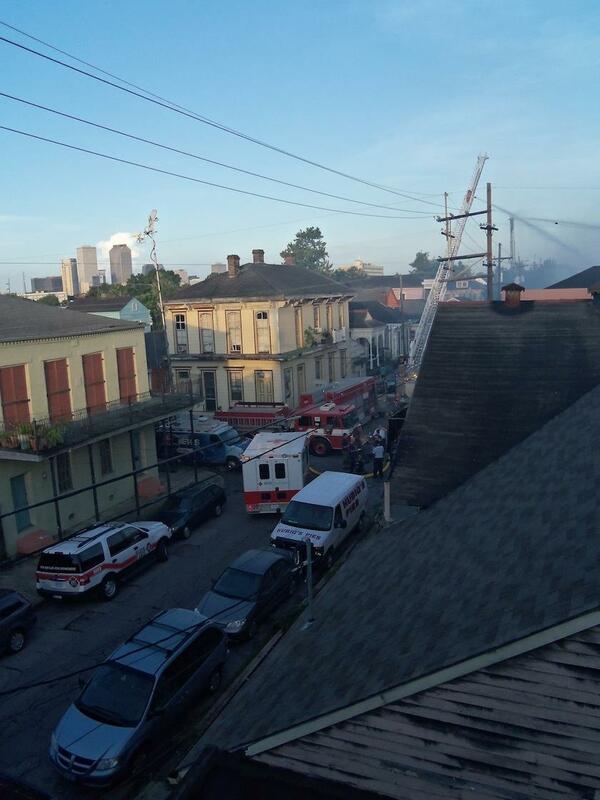 The scene on Dauphine Street after the Hubig's Pie factory fire, from Laura McKnight's bedroom window. That’s right. I have never eaten one of those New Orleans-made little fried pies stuffed with all manner of fillings, not even when I lived just one block down from the factory on Dauphine Street in the Marigny. My house sat at 2453, and Hubig’s sat at 2417, our blocks oddly separated by a small street. I would walk past the large white building almost every day, sometimes catching a sweet scent in the air. I could see the roof of the factory from my third-floor bedroom window. But I’m not a fried-pie lover, so not even the happy little baker man smiling from the front of each Hubig’s bag could tempt me to taste one. Yet as I stood watching the firefighters drown out the giant scorcher at the factory on July 27, 2012, I felt the sense of loss already apparent on some of the faces around me. The Hubig's Pie factory burned to the ground before its neighbor, Laura McKnight, ever tried a pie. But she's convinced her day will come. Hubig’s is one of those uniquely New Orleans institutions that inspire in locals a raging nostalgia bordering on madness. Its history in New Orleans goes back to the early 1920s, when Simon Hubig expanded his Texas-based bakery business into New Orleans, opening the factory on Dauphine Street. I imagine flappers eating these pies while doing the Charleston. The Great Depression shuttered Hubig’s bakeries in Texas, but could not extinguish the New Orleans factory. Neither could Hurricane Katrina in 2005. Four months after the storm, Hubig’s began making deliveries again, an important signifier of the city’s determination to rebuild. 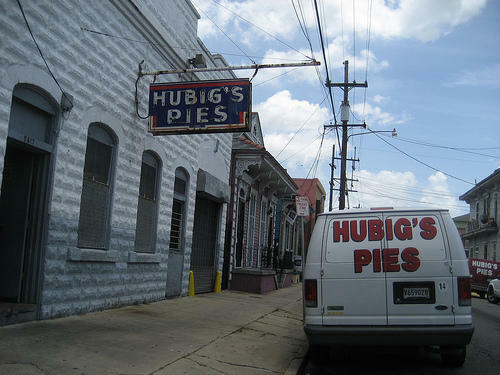 In the first episode of the HBO series “Treme,” a chef with very limited resources scavenges her purse to present a customer with a dessert humble in constitution but rich in meaning: a Hubig’s pie. Like anything uniquely and historically New Orleans, especially anything with an image that can be printed onto T-shirts or crafted into a group costume, Hubig’s enjoys a fiercely loyal following. I mean diehard fierce, as in this fire at the pie factory was nothing short of a catastrophe. That morning, I woke up at 6:30. Groggy, I started reading the news and saw the Internet ablaze with stories about the Hubig’s factory burning. 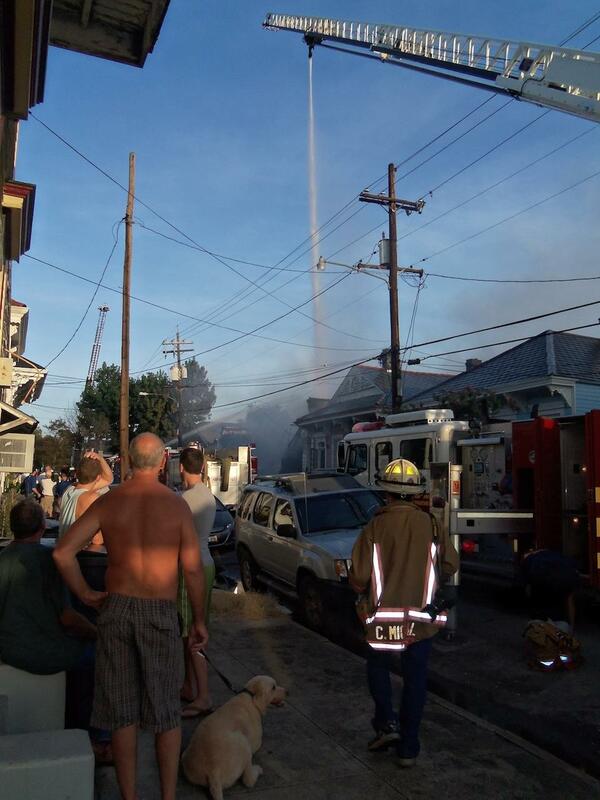 Dauphine Street on the morning of the Hubig's Fire. Now fully awake, I rushed to my third-story window and sure enough, found a dramatic scene: red fire trucks and white Hubig’s delivery vans, firefighters and people in their pajamas, flashing emergency lights, rubber hoses running down the street, and a giant crane angled high above the smoking building. It was directing a large and violent stream of water into the charred remains of the pie factory. According to an article in The Times-Picayune, a Hubig’s employee first reported the fire at 4:30 a.m. An hour later, the fire was upgraded to a five-alarm blaze. Apparently, I had slept right through the raging part of the raging inferno, the part where 32 trucks with loud sirens rushed to my street and nearly 100 firefighters swarmed within feet of my house. I do vaguely remember drifting into consciousness at some point and smelling smoke. My brain functioned just long enough to notify me that yes, I had turned off all knobs on the stove, and then question whether I should get up and double-check the house for a raging inferno. Should I? That question was never answered because I drifted back into sleep. I figured the smell could be the residual effects of a burger-broiling incident from earlier that night, when an attempt to cook hamburgers succeeded in setting off my smoke alarm. The neighborhood watching the scene. That morning, I furiously snapped photos from my third-floor window and then rushed outside in my pajamas to take more pictures and gawk, as did many others. 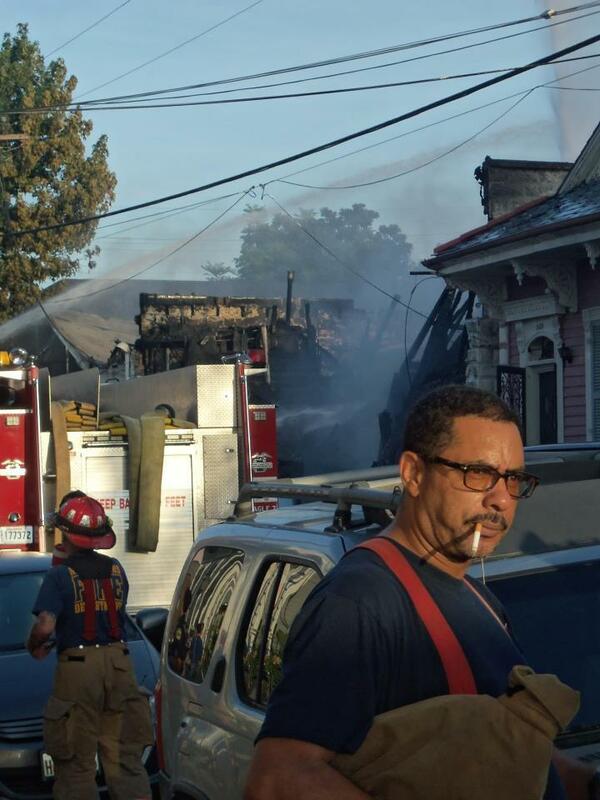 The whole thing looked like a cliché action-film scene: joggers paused mid-run, dog-walkers tugging leashes to slow their pets to a stop, my unshaven and semi-conscious neighbors gathered on the sidewalk to stare into the still-smoking remains of a New Orleans icon. At that moment, I felt my first craving for a Hubig’s pie. I had no idea what a Hubig’s pie tasted like, but I wanted one. And I knew that, eventually, I would get to eat one. You may love the lemon filling, others the chocolate or banana — or maybe you hate them all, but that doesn’t matter. New Orleanians will not let go of what is ours. I think of the pie craze following the fire, the rush on the stores and Hubig’s delivery vans, the eBay sellers offering pies for up to $500 apiece. The night after the blaze, I walked past the factory on my way home. With the frantic emergency scene gone, the open site stood dark and solemn. The once bustling factory was replaced by sad piles of debris, a hungry black hole on Dauphine Street. Complete destruction. Alone, I stopped for a moment to pay my respects and then sniffed. The smell of burnt pies coated the air, the strong odor of smoke unable to completely overcome the persistent scent of fried sweetness. 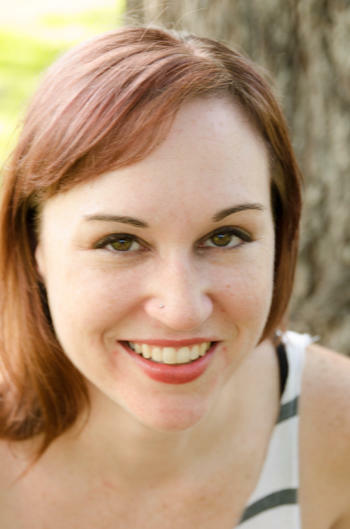 Laura McKnight grew up in Thibodaux and was lured to New Orleans partly by the Creative Writing Workshop at the University of New Orleans, but mainly by the music. She spent years as a journalist at The (Houma, La.) Courier, where she documented levee fails, FEMA fails, the West Nile virus, nutria hunts, stray emu sightings, swamp-pop bands, the rougarou, and artists who create magic from scraps.  She now writes about drinks for Nola.com and bartends at a hot-dog restaurant. She loves bar dogs, Nola music, and above all, lists.